Charles Howell III has the honour of being the first Rags To Riches nomination, with the purpose of this weekly column to flag a legitimate sports betting contender that is trading at double-digit odds with one or more bookmakers. Howell III is available at odds of 21.00 with Paddy Power to win the Sony Open in Hawaii, the PGA Tour golf event in which he boast what one can only describe as incredible form figures. Howell III has not won the Sony Open in Hawaii in his 12 attempts but he has gone very close on numerous occasions since making his debut in 2002. Traditionally the PGA Tour’s annual curtain raiser, the Sony Open in Hawaii takes place at the Waialae Country Club in Honolulu. Not every professional golfer gets together their game immediately after the Christmas and New Year break but Howell III does as his Sony Open in Hawaii record shows. Howell III finished fourth in his Sony Open in Hawaii bow, shooting rounds of 72, 62, 66 and 70 to end up four strokes behind Jerry Kelly. Howell III returned 12 months later and fired rounds of 70, 66, 68 and 68 to finish 15th, eight shots adrift of play-off winner Ernie Els. Howell III’s 2004 Sony Open in Hawaii adventure ended in 27th place before he cracked the top five again in 2005 when he finished third, a couple of strokes back of Vijay Singh. However, that is not even half of Howell III’s Sony Open in Hawaii story. Never has Howell III missed the cut in a Sony Open in Hawaii and his 12-year form figures, listed in chronological order, are fourth, 15th, 27th, third, 53rd, second, 69th, fourth, fifth, 68th, second and third. It is worth going over those numbers in forensic detail to do justice to Howell III’s Sony Open in Hawaii performances. Howell III has registered back-to-back top threes, top fives in four of the last five years, seven top fives in 12 appearances and averages 67.77 shots per round, which is a lower mean than any golfer who has played in the Sony Open in Hawaii more than four times. Course form is one of the keys to golf betting analysis and, while Howell III is yet to win a Sony Open in Hawaii, only the most particular of punters would say that he does not have the Waialae Country Club numbers to warrant a bet. Also, Howell III brings decent recent form to the Sony Open in Hawaii. Since missing the cut in the PGA Championship and then being disqualified from the Wyndham Championship after firing an opening round of 66, Howell III has made seven consecutive PGA Tour weekends with his finishing positions, listed in chronological order, being 33rd, 53rd, 39th, 33rd, fifth, seventh and 27th. It is early days in this season’s FedExCup but Howell III is 13th after not having the chance to play in last week’s Hyundai Tournament of Champions. Born and raised in Augusta, the home town of the Masters Tournament, Howell III has won two PGA Tour titles since turning professional in 2000. Howell III celebrated his first PGA Tour victory in 2002 when he won the Michelob Championship at Kingsmill by two strokes from Scott Hoch and Brandt Jobe. Five years later, Howell beat Phil Mickelson in a play-off to clinch the Nissan Open. Howell has lost three of his four PGA Tour play-offs, including last year’s Humana Challenge held one week after the Sony Open in Hawaii. 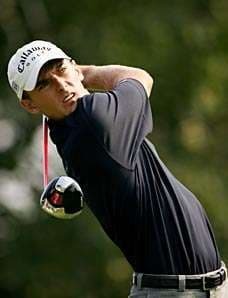 A Sony Open in Hawaii and January specialist, Howell III is this week’s Rags To Riches nomination at odds of 21.00. Obviously, bookmakers are trading Sony Open in Hawaii exotics so by all means consider Howell III in tournament match bets and markets on the top 10, top 20 and so on. The Sony Open in Hawaii gets under way on Thursday and runs through until Sunday. Hawaii is 10 hours behind Greenwich Mean Time during the northern hemisphere’s winter months.